He has been a part of cycling as long as I have been a fan. Thirty-nine year old Christophe Moreau retired from cycling yesterday after racing the GP de Plouay for his current team Caisse d'Epargne. Today Pez Cycling wrote about Moreau's retirement: "Moreau turned pro back in 1995 with Festina and raced for a total of 5 teams in his 15 year career, Festina, Crédit Agricole, Ag2r, Agritubel and Caisse d'Epargne. Long touted as France's best hope for a Tour de France victory his best year in the Grand Boucle was in 2000 when he finished 4th." He also won the Critérium du Dauphiné Libéré in 2001 and 2007. 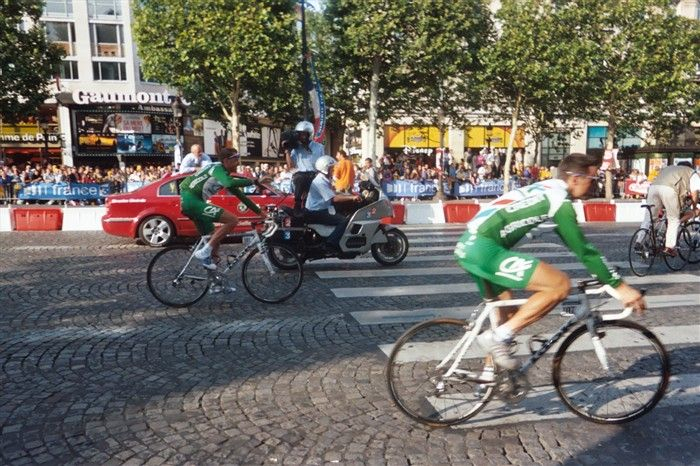 Together with Lance Armstrong and Jens Voigt, Christophe Moreau was one of the oldest riders in the Peloton. I will miss him. 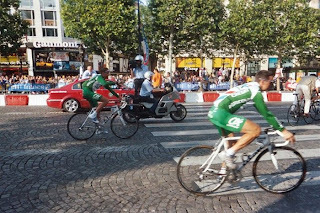 History: Christophe Moreau of team Festina was ejected from the Tour de France on 17 July 1998 with the entire Festina team. On 24, July 1998, he confessed to using EPO. Confessing alongside the other team members - except Richard Virenque - Moreau served a six-month suspension before returning to racing. On 15 December 1998 he was suspended by the French Cycling Federation for six months. The Festina investigation brought to light modern doping and forever changed the image of professional cycling.